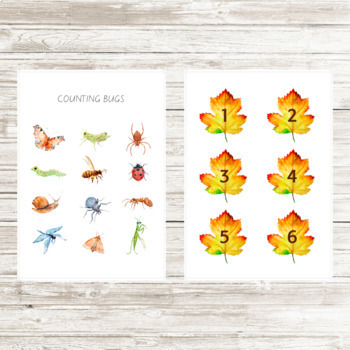 This counting jar, these beautiful watecolour bugs and these number leaves can be used together or separately, in a variety of ways, to explore early numeracy. 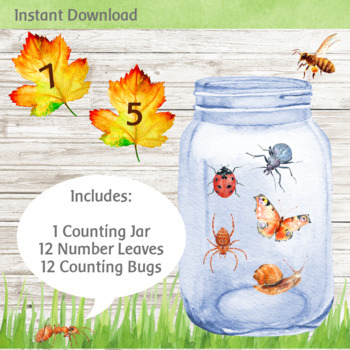 Choose a number leaf and then have your child place that number of bugs into the jar, or do the reverse and place some bugs in the jar and ask your child to choose the matching number leaf. Line the number leaves up and ask your child to line the correct number of bugs beside them. 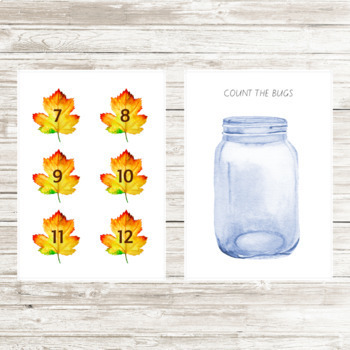 You could even roll a dice (instead of choosing a number leaf) to select the number of bugs to count into the jar.